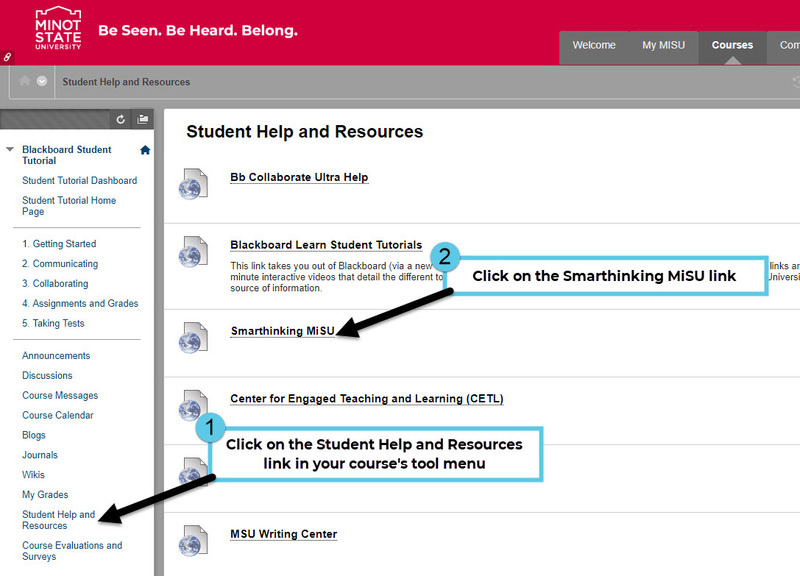 Smarthinking is an online tutoring service available to all MSU students. With online tutoring services from Smarthinking, students receive on-demand, individual instruction and support from expert online tutors across a wide variety of subjects — from beginner to advanced, up to 24 hours a day. You will login with your NDUS User ID and Password which is the same login and password you use to login to Campus Connection and your MSU email account. If you have any questions, please contact MSU Online at 701-858-3218 or 1-800-777-0750 Ext. 3218 or online@minotstateu.edu. Watch Smarthinking's tutorial videos for help on how to use their service. Minimum technical requirements - Click on browser checker to verify that your system is compatible.